Anyone planning on buying the just-released PSP-3000 from Sony might want to reconsider just how much of an improvement the new screen is, after it emerged complaints are already flooding in. The upgraded display was supposed to improve a slight problem Sony acknowledged in the past where moving characters exhibited a ghosting effect and appeared blurred. Instead, according to numerous online forums, the ghosting has been replaced by jagged horizontal lines stretching out to either side of some game characters. 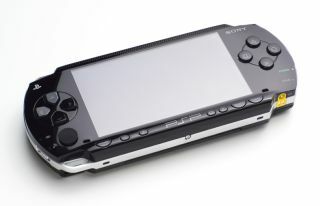 Sony told one PSP fan site, "On some occasions, scan lines may appear on scenes where brightness changes drastically ... Since this is due to hardware specification, there are no plans for a system software update concerning this issue." In other words, "Our new, improved screen might not look all that good, but we're happy with it, so you can like it or lump it." Or, perhaps, go buy a PSP-2000?